When people think of electrocution, they don’t usually realize that the eyes can suffer severe trauma in this situation. 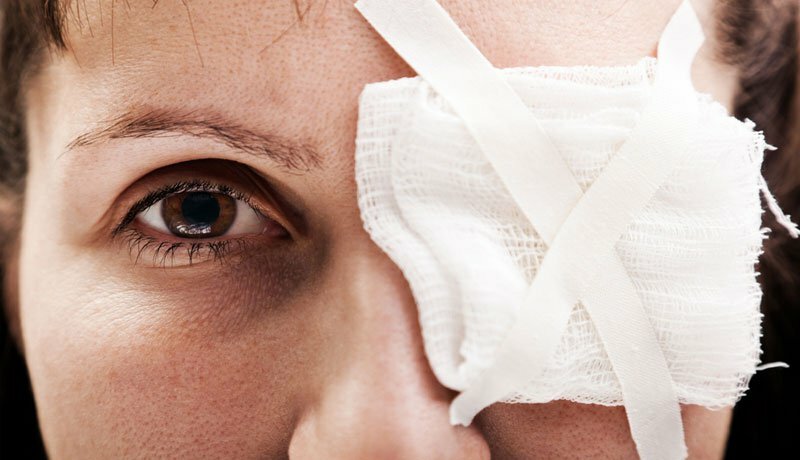 But an electrical injury to the eye in Maryland can have devastating, even permanent effects. This type of injury is not uncommon because the eye area is a very sensitive one and it can get damaged easily. Besides impacting your quality of life, an electrical injury to the retina, for example, can leave you unable to work. This is why it is crucial to realize that you need to seek justice in case you have been the victim of an electrical accident. Usually, when people get electrocuted, the cause lays with somebody else’s negligence. From unsignalled hazardous premises in the public space to defective installations at home or faulty products that misbehave, you may not be able to control the factors that contribute to an electrical injury. And when you suffer because other people were negligent, it is time to get the help of an electrocution lawyer in Maryland. A specialized electrical injury attorney in Annapolis will tell you that, based on your claim, the value of an electrocution settlement in MD may vary according to the severity of the injury. Corneal burns are common injuries to the eye in case of an electrocution accident. A corneal burn is not necessarily vision-threatening, but, nevertheless, you should seek immediate medical attention. Intraocular haemorrhage means bleeding into the eyeball and should be addressed Severe haemorrhage may cause a rising of the pressure in the eye, thus damaging the eyeball even more and, in some situations, leading to blindness. Intraocular thrombosis happens when blood clots form inside of the blood vessel, thus obstructing the blood flow. Uveitis is a type of eye inflammation associated with electrical injuries. It can lead to permanent loss of vision so if you experience eye pain, sensitivity to light, blurred or decreased vision, as well as eye redness, you should seek medical attention right away. Retinal detachment – an electrical injury to the retina can lead to this type of injury. When the retinal cells are separated from the blood vessels that provide oxygen, you risk permanent loss of vision in the eye. Orbital fracture can affect one or more of the seven bones that compose the orbit. It is a dangerous injury that should be addressed right away. In case you were the victim of an electrical accident, you need to act immediately after receiving the proper medical care. Call an electrical injury attorney in Annapolis and let them know what has happened to you. This way you will understand what you need to do next to build a strong personal injury claim that can help you receive compensation. The value of an electrocution settlement in MD may include compensation for the medical expenditures, loss of income, emotional and physical distress, etc. We understand that it is difficult to consider the legal implications when you are dealing with severe injuries, but this is where we come in. We are specialized in electrical injuries and can help you receive justice. Contact us anytime at (443) 569-3950 or [email protected] to get a free consultation and find out how you can build a powerful claim.